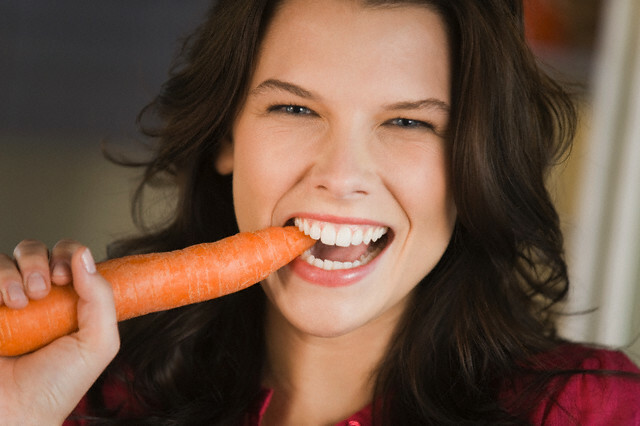 Carrot juice contains essential oils in high amounts, which detoxifies your body and prevents acne. The beta-carotene which is contained in carrot juice changes in to Vitamin A when it enters the body. This helps in reducing the degeneration of skin cells, and slows down the ageing process of the body. The amount of collagen in the skin is improved. This is helpful in maintaining the skin elasticity, and reduces all visible signs of ageing like wrinkles and sagging skin. This is because collagen is what accumulates in the body to keep the skin healthy and firm. Carrot juice helps the hair grow better. Nail strength is increased by regular intake of carrot juice. Potassium contained in carrot juice helps in reducing skin dryness. It also prevents blemishes and scars on the skin. The skin tone is improved to give life to your skin. Hydration is also improved to keep your skin moisturized at all times. Carrot juice contains beta-carotenoids that help plants in photosynthesis. It is useful for reducing sunburns and increasing the skin resistance to all kinds of damage from the sun. Carrot juice is a good vitamin supplement for your skin. Several healthy nutrients are contained in the juice, which reduce all kinds of skin related problems including eczema, rashes, and dermatitis. Carrot juice contains Vitamin K, which helps blood to clot. The Vitamin K contained in carrot juice helps the body in the protein building process. It is also known to help in the binding of calcium. This further helps in the healing of broken bones. Carrot juice also contains potassium, which improves the health of bones. Carrot is a very effective in reducing the cholesterol level. Carrot juice contains potassium, which reduces cholesterol. This is really good for the liver as bile and fats are stored in it. Along with magnesium and manganese, potassium helps stabilize the level of blood sugar in the body. This helps in reducing the risk of diabetes. Carrot juice is an effective anti-cancer agent. It is due to the high content of carotenoids in it. Carotenoids prevent the body from getting affected by prostate, bladder, colon, and breast cancers. Carrot juice is rich in Vitamin C. this helps external wounds heal faster. It is also very good for your gums, and keeps it healthy. Carrot contains lots of beta-carotene, which makes it a very important source of Vitamin A. The immune system is improved considerably with this. Carrot juice is rich in Vitamin A, which is useful for improving eyesight. 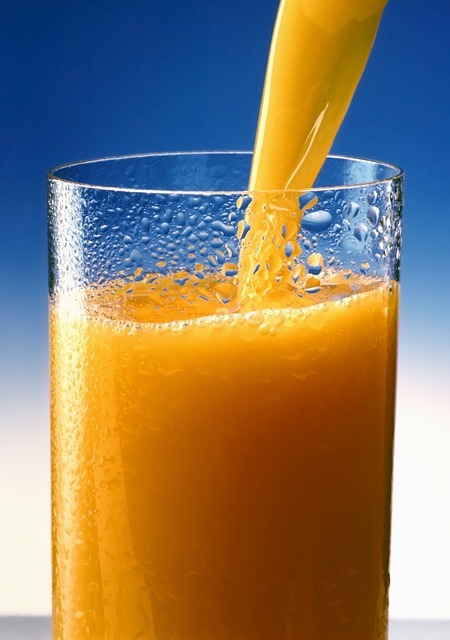 If you consume the juice regularly, the onset of heart diseases and strokes is prevented. The lining of the internal organs is also kept healthy by the Vitamin A content in carrot juice. As such, it is prevented from getting infected by pathogenic organisms. Carrot juice helps cleanse and detoxify the liver. It helps release all the toxins in the liver and excrete them from the system. Toxins and bile cannot be released from the body through the kidneys by the blood stream. The only way to release them is through the skin. This process is aided by intake of carrot juice. It ensures that the harmful bile is effectively removed from the body. Proper functioning of the liver prevents fats from getting accumulated in the body, and helps in rapid digestion of these fats. This prevents obesity and weight gain. Carrot juice contains enough calcium. If carrot juice is taken in the last 3 months of pregnancy, chances of infections in the child are reduced considerably. The quality of breast milk is improved if carrot juice is consumed during pregnancy. It also benefits growth of the fetus, as it contains lots of Vitamin A. All toxins are released from the body to cleanse it and help in losing weight. Indigestible material, toxins, waste, and all such things are removed from the system to cleanse the system and prevent obesity. The large amounts of fibers in carrot juice helps in rapid digestion. As such, you feel fuller for longer. The body is enabled to lose more energy during a workout with the phosphorus content in carrot juice. Vitamin A helps the body heal after a stressful work out session. It also helps the muscles grow. Carrot juice contains phosphorus, which builds, repairs, and maintains the muscles in the body. Lots of Vitamin B is contained in carrot juice, which helps break down fats, glucose, and proteins in the body. As such, metabolism is increased, muscles build up, and weight loss is promoted. Stress and depression are also reduced by Vitamin B. the body’s metabolic rate is boosted by carrot juice. This ensures that energy is utilized optimally in the body, and the pain after work out is decreased. Carrot juice contains lots of iron, which increases the capacity of the body to carry oxygen. As such, more workouts can be done to lose weight. 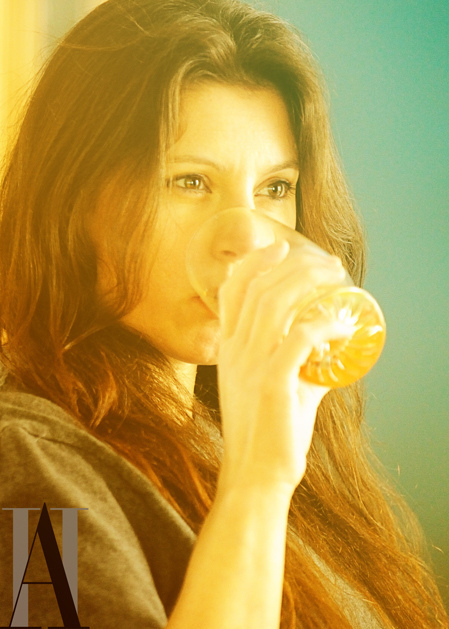 The level of sugar in the body is controlled by the manganese and magnesium in carrot juice. This helps reduce weight. Now that you know how beneficial carrot juice is, make it a regular habit to consume it and get all benefits.